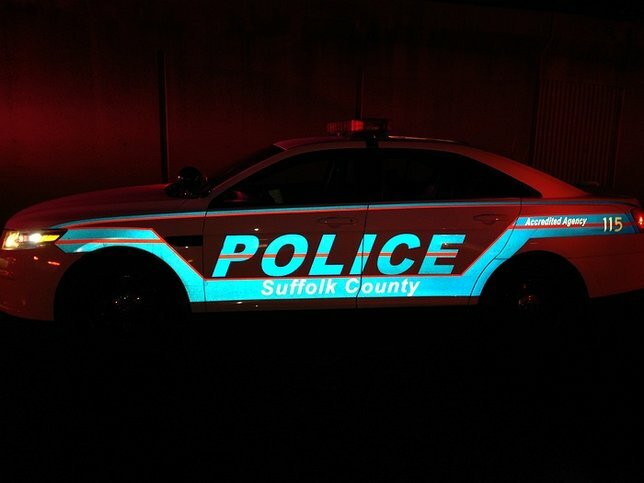 Suffolk County Police Homicide Squad detectives are investigating a shooting during which one man was killed and another injured in Brentwood last night. Two men were found injured after shots were fired in Brentwood. One man was pronounced dead upon arrival at a local area hospital. Brentwood, NY - November 29, 2015 - Suffolk County Police Homicide Squad detectives are investigating a shooting during which one man was killed and another injured in Brentwood last night. Third Precinct Patrol Officers responded to 165 Gibson Ave. after a 911 caller responded shots fired at approximately 10:50 p.m. Upon arrival, officers discovered that two men were injured in the shooting outside the location. Kenneth Evans, 24, of Brentwood, was transported to an area hospital by Central Islip Hauppauge Volunteer Ambulance where he was pronounced dead. Another Brentwood male in his 20s was transported by Central Islip Hauppauge Volunteer Ambulance to an area hospital for non-life-threatening injuries. Subject: LongIsland.com - Your Name sent you Article details of "One Man Killed, Another Injured in Brentwood Shooting Over Thanksgiving Holiday Weekend"